Celebrating the visit to our Parish of the Relics of St Padre Pio, we have a three part series on the stigmatic saints who were so united to Christ Crucified as to receive the wounds of the Lord's Passion upon their own bodies. I. 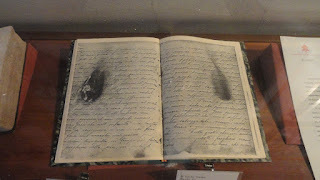 Review of Previous Weeks: In this series, we will consider the mysterious gift of the stigmata. A. Visible and invisible stigmata: Invisible more than visible. Feeling of shame. B. 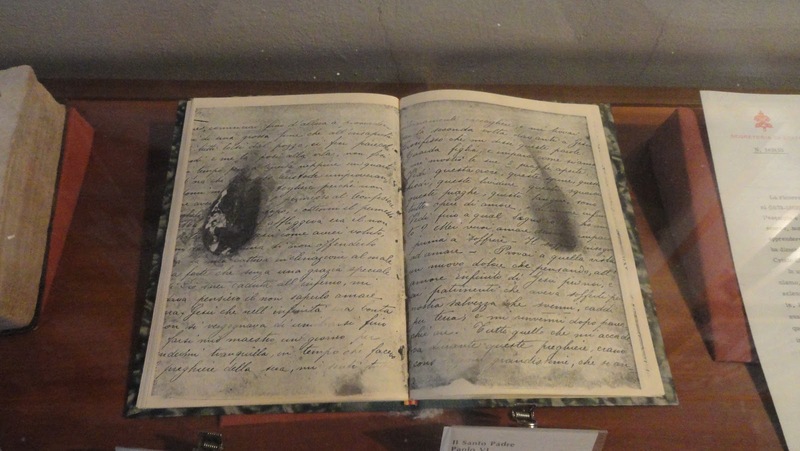 Details and statistics: Stigmatics receive other gifts (visions, levitation, inedia); About 400 cases of stigmata, more than 62 beatified, over 80% women. First, St Francis (1224). First priest, Padre Pio (1918). II. 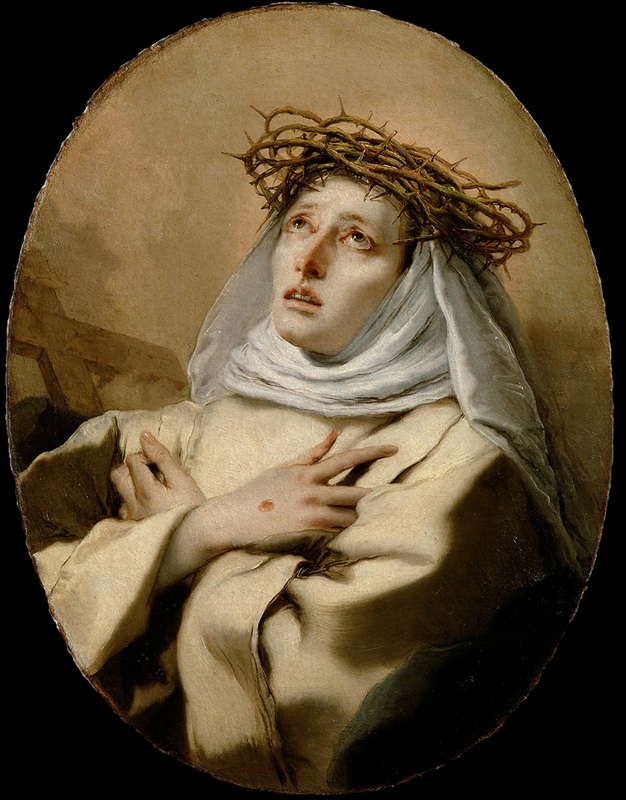 St Catherine of Siena (1347-1380): Patroness of Europe, first female Doctor of the Church. A. 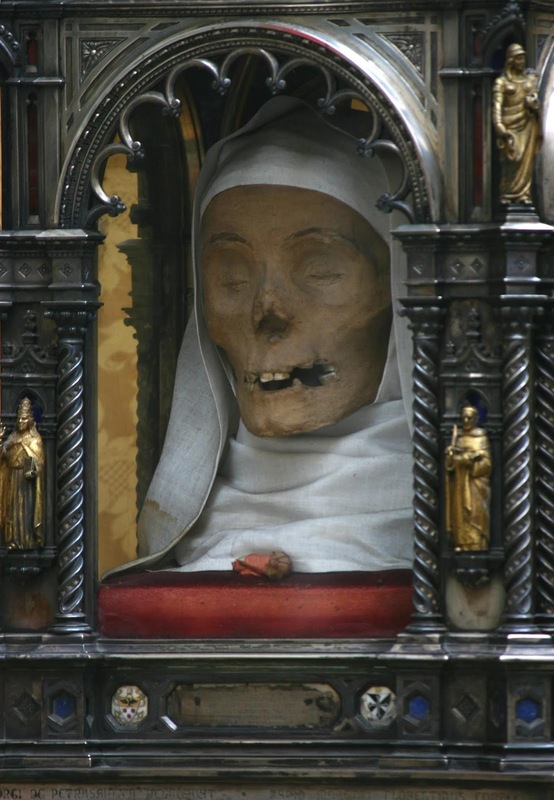 A family of 25 children, St Catherine being 22nd. She set out a new course of life: Neither marriage, nor in a convent, but a virgin living in the world following the Dominican spirit. Became a Third Order Dominican at age 16. 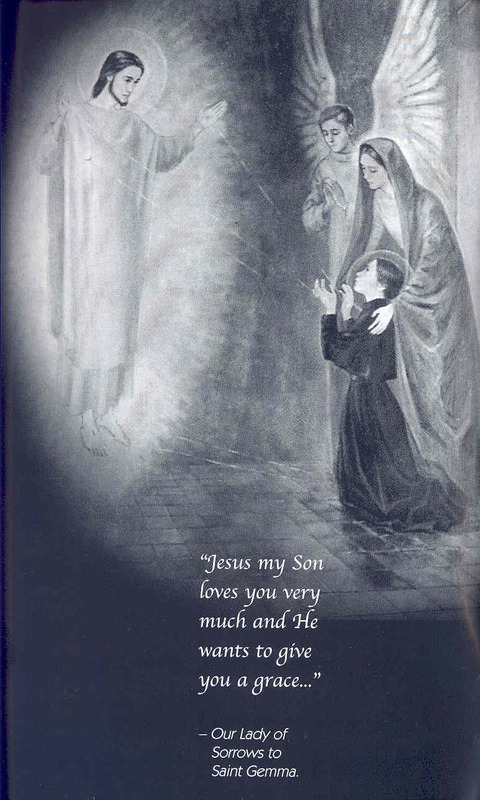 B. Mystical Marriage in 1368: Received a wedding ring from Christ (the foreskin of the Lord, visible only to her), and Jesus placed his Heart within her to be her own heart. 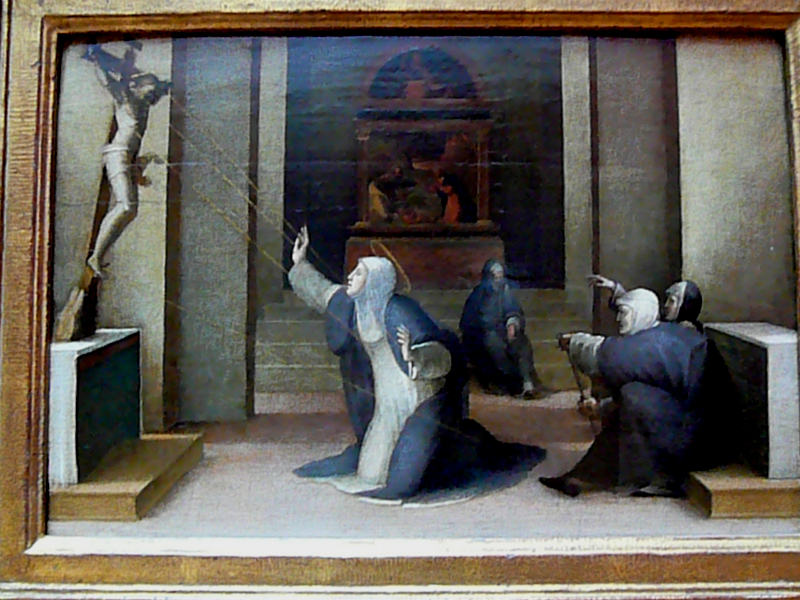 C. Received the stigmata in Pisa in 1375, while encouraging the city to remain united to the Pope. She begged the Lord to make the stigmata invisible to all but herself, and for the pain to remain – this request was granted. D. Worked for reform in the Church, especially for the Pope to return to Rome from Avignon. Here head and finger are incorrupt, indicating the Lord’s blessing on her life’s work. A. Brief biography: 5th of 8 children, many of her siblings died at young age. Lost her mother at age 8 and father at age 19. Much hardship and poverty. 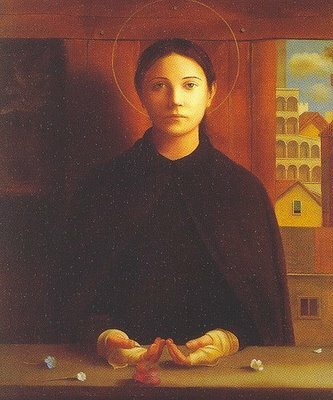 Gemma herself was very ill often, healed by St Gabriel Possenti (in a novena vision to St Margaret Mary Alocoque, March 1899). 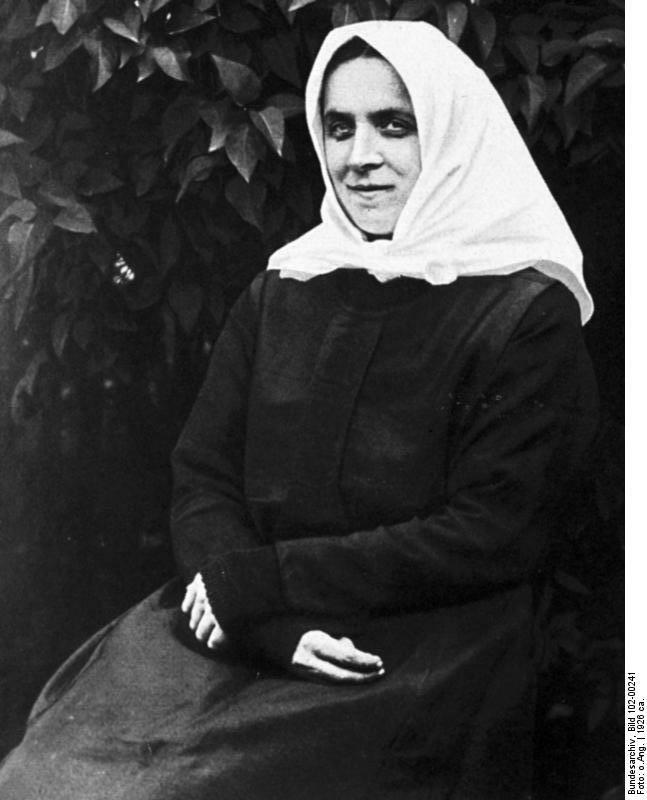 Desired to join the Passionists, but never permitted because of her poor health. 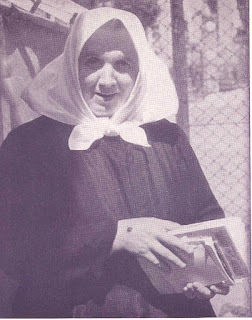 B. Gemma and her angel: Regularly saw her Guardian Angel, who also delivered letters for her. C. The reception of the stigmata: June 8, 1988 – Gemma receives the stigmata, which continue to appear Thursday evenings through Fridays at 3pm. This continues until 1900, when she requests that the stigmata be only invisible, at the order of her spiritual director. D. The holy death of St Gemma: Holy Saturday, April 11, 1903 – Union with Christ Crucified. A. Brief Biography: At age of 20, she fell from a stool and suffered partial paralysis. Many more falls and poor health debilitated her. She was blind and bed-ridden, and also suffered from bed sores which were open wounds – sight miraculously restored by St Therese of Lisieux on the day of her beatification (29 April 1923), and fully cured on the day of her canonization (17 May 1925). 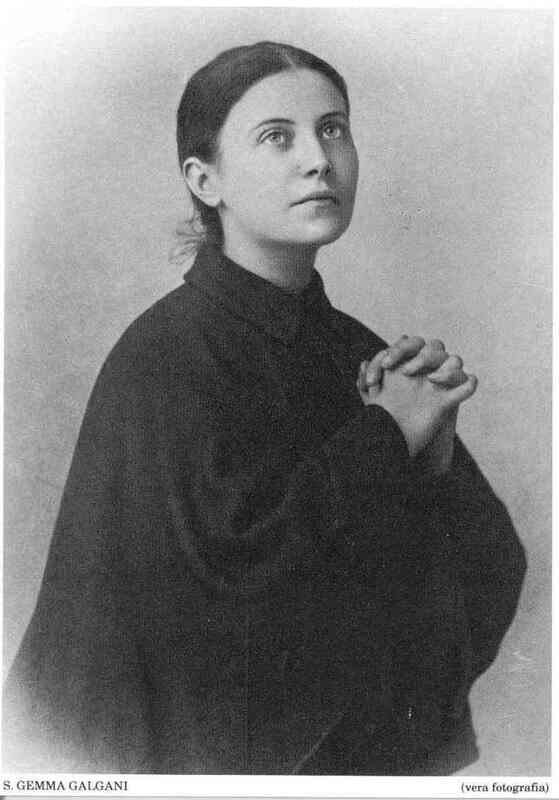 B. Stigmata: Began to receive the stigmata 5 March 1926, starting with the wound near the heart, then over weeks developing wounds in the hands and feet. 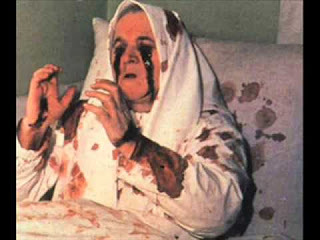 On Good Friday 1926, blood poured from the wounds as well as from her eyes. It appeared she would die, and she received Last Rites at about 3pm. Over Saturday, healed; and received a vision of the Risen Lord on Easter Sunday. In November, received the wounds upon the head and back. D. Inedia: Did not eat from 1923 or drink from 1926, until her death in 1962. E. Other marvels: Discernment of relics, discernment of priests, discernment of when one has made communion, miraculous communions, speaking in languages, etc. F. Her cause for canonization has been opened under the supervision of Cardinal Muller (2005). Day of death- September 18th.